G-Shocks occupy a space in my mind where you get a rugged, affordable watch that could last through years, maybe decades of abuse. Releasing a $4,300 USD version of a G-Shock breaks that affordability, and I’m not even mad. It’s hand-engraved, made of an all-titanium case, and is fantastic. I love titanium. The MRGG2000RJ-2A has an all titanium case, case back, and clasp, all of which have undergone a hardening treatment to make them more durable and scratch resistant. The crystal is a sapphire with AR coating for increased legibility. The bezel is a Murasaki-gane metal and Cobarion, both premium materials that make the bezel two or three times stronger than stainless steel. It is ion-plated with a purple/violet finish that looks stunning. 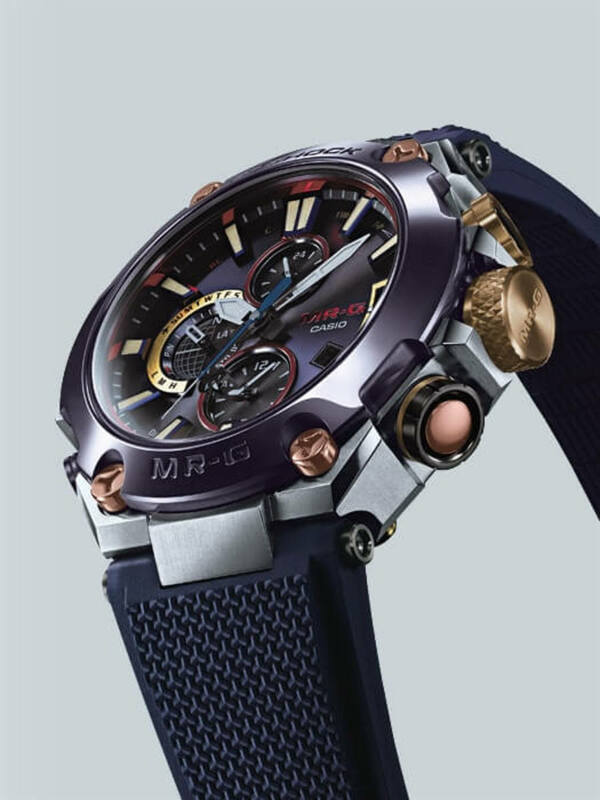 The G-Shock MRGG2000RJ-2A uses three methods to set the time automatically: GPS, multi-band 6 Atomic technology, and Bluetooth connectivity to a mobile phone app. It also recharges using Casio’s ToughSolar tech.